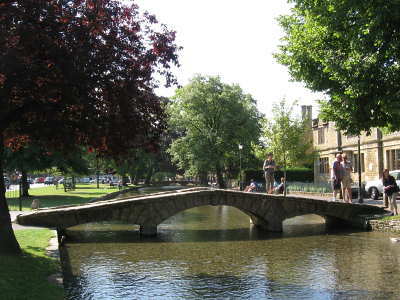 The Cotswolds is one of the most picturesque corners of England, famous for the beauty of the ancient villages and towns, built of the local limestone so that they sit in perfect harmony with the natural landscape of gentle hills, lush valleys and clear trout streams. I was lucky enough to have been born in the Cotswolds and have lived here all my life. I am passionate about my home and love to share that passion with visitors, something I have been doing since 2000. 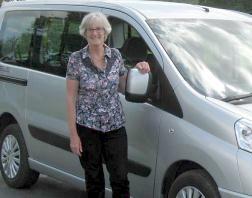 I work entirely alone on a very small scale, not employing other drivers and guides. This means that you know when you book to tour with me that it is I who will be your driver and guide. It will be a truly personal experience and while I can suggest some pre-planned routes for those who maybe aren't sure what to see, I am more than happy to work with you to design a tour just for you. Do you have a special interest that you would like to focus on? If you choose to tour with me I can show you places that lots of visitors don't get the chance to see, but I won't neglect the better known places either. My tours are a full eight hours (shorter tours are available – please ask for a quote) and fully guided, but relaxed and informal with plenty of time to explore. There will be time for a leisurely lunch – I know some great country pubs and village tea rooms but please note the cost of refreshments is not included in the tour fee – and a little light browsing of some of the interesting shops and galleries along the way if that's something you enjoy. I will stop at your request whenever possible so that you can take photos – believe me I know how frustrating it can be to see that perfect view flashing by the car window. Wherever possible I will collect you from your accommodation but if you are staying outside of the area we may need to make alternative arrangements. If you are staying in London, for example, there are regular direct trains to local stations where you can be collected from. The day is yours to enjoy – after all, it's your holiday. If you spend it with me at Cotswold Tour Gems I am sure you won't be disappointed. Please note I am fully licensed by Cotswold District Council and have comprehensive public liability insurance. I also have full breakdown cover so you can relax about these issues too. If you are transferring to or from an Airport or accommodation elsewhere in the country I also offer this service so why not ask me about it?